(The Guardian, Monday 2 October 2017) Australian foreign minister says world should still try to negotiate with Kim Jong-un after Trump claims it is a waste of time. The foreign affairs minister, Julie Bishop, appears to have rejected Donald Trump’s school of diplomacy, insisting the world should keep trying to reach North Korea, despite the US president publicly claiming it is a waste of time. Trump tweeted that “being nice to Rocket man hasn’t worked in 25 years, why would it work now”, adding “Clinton failed, Bush failed and Obama failed. I won’t fail”, in an apparent reference to the Kim dynasty, which began with Kim Il-sung. The US president has taken to calling Kim Jong-un, the current ruler of the rogue state, “rocket man” and announced he had told his secretary of state, Rex Tillerson, he was “wasting his time trying to negotiate with Little Rocket Man” over Twitter. “Save your energy Rex, we’ll do what has to be done!” he wrote overnight. However, Bishop, speaking from Perth on Monday, said she believed Tillerson was “seeking to find a resolution to the current crisis on the Korean peninsula”. She also praised the US for helping to convince China to “play a much more active role”. “I think that is in response to the president’s focus on North Korea as being an issue that the region must try solve,” she said. Bishop said Australia had an interest in bringing about a peaceful resolution to the crisis, which escalated when Pyongyang authorised the firing of missiles over Japan. It has also stepped up its nuclear advancements and so far has refused to heed calls to put a halt to its program, despite a tightening of economic sanctions on the rogue state. Australia has been in support of the unanimous security council resolutions, while also calling on China to use more of its influence. “Three out of our four major trading partners are in north Asia, any further nuclear tests that threaten the security of the region, of course, would be against our interests, let alone those of the countries in the region,” Bishop said. Trump and Kim have been locked in an escalating war of words, with Trump threatening to “totally destroy North Korea”, if it did not cease its weapons program, while North Korea later accused Trump of a “declaration of war”. (Dr. Emma Campbell, SBS World News, 9 APR 2013) Australia is currently getting a wake-up call about the risk of war right in the centre of the East Asian industrial network driving its prosperity. The Korean peninsula attracts minimal attention in Australia’s security considerations. North Korea got only two lines of comment in the Gillard government’s recent white paper Australia in the Asian Century, which also dropped Korean as a priority language for our schools. The 2009 Defence White Paper gave some space to the threat to Australia of nuclear proliferation by North Korea and the possibility of conflict on the peninsula but suggested ‘other scenarios’ were much more likely. Australia’s defence and security policy framework assigns limited importance to conflict on the Korean peninsula in assessing threats to Australia. This reflects an underestimation of the importance of a stable Korean peninsula for Australia’s future and highlights a significant weakness in Australia’s defence and security planning. The so-called ‘other scenarios’ should be of interest to Australia’s defence planners. Threats to Australia emanate not only from the conventional and nuclear capabilities of North Korea, but non-traditional security threats presented by the decaying and corrupt North Korean political, economic and social system. Political change in North Korea will bring significant instability to South Korea and the broader Northeast Asian region. Such change could result from various developments: the collapse of the North Korean government, gradual political and economic decay, reform and opening initiated by Pyongyang, weapons proliferation by the North, a move by South Korea to obtain a nuclear capability, or conflict between Japan and North Korea. Conflict, collapse or other events on the Korean peninsula would have immediate impact on Australia. Even without being drawn directly into a war between North and South, the economic effect would be huge. South Korea is Australia’s third largest export market and fourth largest two-way trading partner, not to mention indirect effects from disruption of its trade with China and Japan. Australia’s interest would lie in the swift and effective restoration of peace and stability. The participation of the ADF in such efforts would be inevitable. Another danger could come from criminality on the part of the existing regime or other groups within North Korea that might seek to profit from selling weapons and other contraband to governments and groups adverse to Australia’s interests. A further crisis would call on Australia to join an international effort to meet the vast and acute humanitarian needs of North Korea’s 23 million people. This would be accompanied by large outflows of refugees, and biohazards like the spread of drug-resistant tuberculosis highly prevalent in North Korea. The 2009 Defence White Paper did recognise that the collapse of the North would require ‘deft management by the Korean people, but also by the major powers of the region…All states would have a common interest in assisting the Korean people to successfully manage any reunification of the peninsula’. Given Australia’s economic reliance on Korea, its historic precedent of involvement on the peninsula and its growing status as an Asian nation, our role in any peace-keeping, humanitarian or stability-promoting exercise would not be insignificant. Our defence and foreign policy planners would be wise to build up the knowledge and language skills that these contingencies would call upon, and develop understanding with US, Chinese, South Korean and Japanese counterparts to reduce the dangers of miscalculation. Australia has an unusual regional position holding diplomatic relations with both North and South Korea. If Canberra wants to have a stake in the future of the Korean peninsula and the wider Asian region, a direct diplomatic presence in Pyongyang is essential. Australia should also encourage the re-establishment of the North Korean embassy in Canberra. 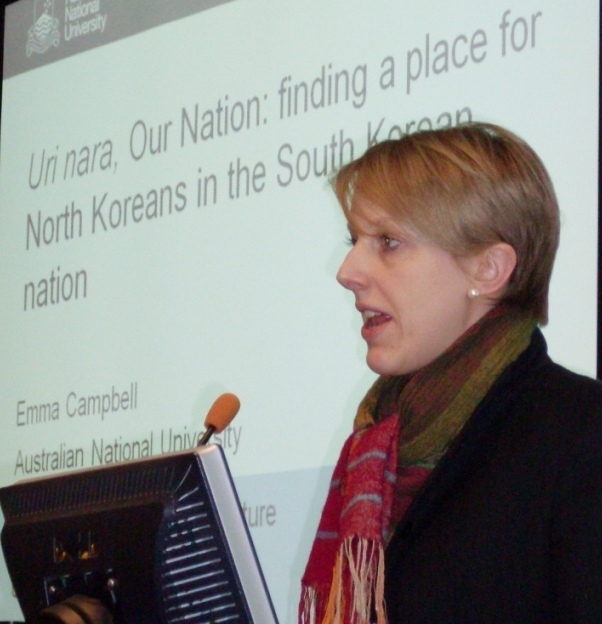 (Dr Emma Campbell is the Postdoctoral Fellow in the Australian National University’s College of Asia and the Pacific. (by David Wroe, The Sydney Morning herald, 1 April 2013) Australia will urge China this week to clamp down on the flow of technology and equipment crossing its borders into North Korea that could be used by the rogue nation in its nuclear weapons program. 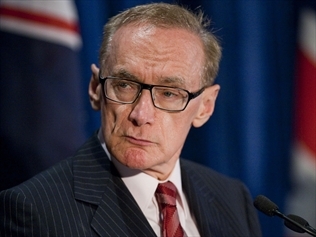 Foreign Minister Bob Carr will try to persuade his Chinese counterpart, State Councillor Yang Jiechi, to tighten the enforcement of UN-backed sanctions aimed at forcing the hermit state to abandon its goal of becoming a fully-fledged nuclear power. Amid growing fears the rogue nation’s increasingly aggressive stance towards South Korea could spiral out of control, Senator Carr will raise the issue during a visit of an Australian delegation to China this week led by Prime Minister Julia Gillard. The development came as tensions continue to rise on the Korean peninsula, with South Korean President Park Geun-hye vowing “a strong response” to any provocation from the north. Her remarks followed the young North Korean leader Kim Jong-un’s weekend declaration that his country was entering “a state of war” with its wealthy, democratic neighbour South Korea. North Korea has also issued multiple military threats to the United States. And on Sunday, President Kim declared the nation’s nuclear weapons a “treasure” that it would not abandon. As North Korea’s only real ally, China is considered the only country with any influence over the intractable and reclusive regime. Senator Carr’s spokesman said yesterday that the UN sanctions would be more effective if there were tighter implementation on ships and planes gong to to North Korea, including from China. “That’s something we’ll be talking about when we’re in China,” he said. “It is not suggested China is breaching the sanctions – China voted for them in the Security Council, but China is the principal conduit for supplies to North Korea. “We’re going to emphasise the importance of taking action on North Korea but we appreciate you have to approach that in a manner that recognises their relationship – rather than just bursting in and telling them our view of the world.” Senator Carr has also said in recent days that Australia is considering its own additional sanctions, on top of the existing UN measures, that would target banking and finance for the North Korean elite. New sanctions imposed by the UN Security Council last month in response to North Korea’s February nuclear test included tougher financial restrictions and bans on items such as yachts, luxury cars, and some types of jewellery and perfumes. However such items are reported to still be flowing into the country, as are goods that could be used in the regime’s weapons industries. The US sent F-22 stealth fighters to South Korea on Sunday as part of military exercises. 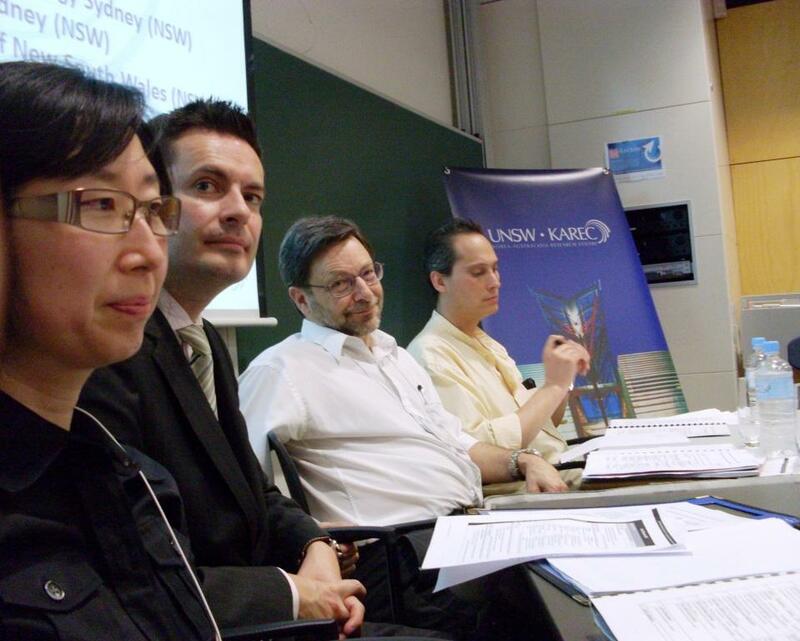 But Leonid Petrov, a Korea scholar at the University of Sydney said “this time it’s much more serious”. North Korea had made considerable strides in developing nuclear weapons and the rockets to deliver them, he said. “It means destabilisation in the region is going to continue,” he said. Ms Gillard will lead the five-day visit to China starting on Friday. She will meet China’s new President Xi Jingping and Premier Li Keqiang and discuss issues ranging from trade to security and climate change. “The secretive North Koreans are hard at work to threaten our allies, our region and us. North Korea has not only developed nuclear weapons, it is also building missiles that could, in future, reach Australia,” Rudd wrote in the Daily Telegraph. 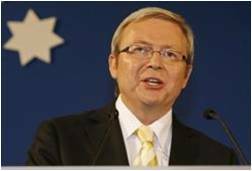 Drawing on the two nuclear tests conducted by North Korea in 2006 and 2009, and the imminent destabilising transition of power, Rudd cautioned that “we, in Australia, have no cause for comfort.” He detailed that the rogue regime’s development of the Taepo-Dong 2 – a long-range missile that was tested in 2006 but crashed shortly after take-off – put Australia well within its purported 9000km range, with Darwin lying 6000km and Sydney 8500km away. Less than two years on, a successful missile launch and another nuclear test later, should we heed Rudd’s warnings? With increasing tensions on the Korean Peninsula, continuous threats from an ambitious Kim Jung-un, a ramping up of US military drills in South Korea, Pyongyang’s nullification of the 1953 Korean Armistice and last Monday’s propaganda video of an imagined attack against Washington, could Australia truly be in harm’s way? 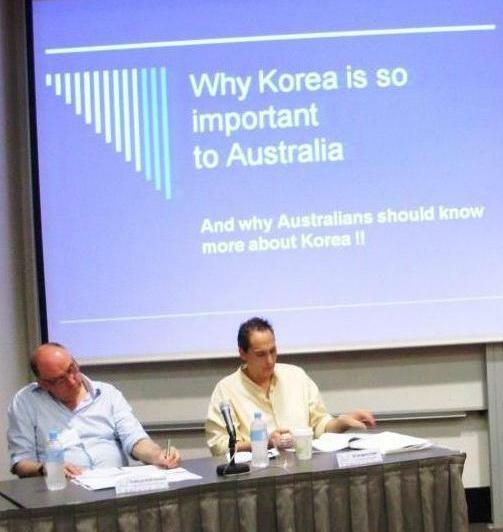 Not according to Dr Leonid Petrov, a Korean Studies expert from the Australian National University. “North Koreans don’t have any intention to attack Australia,” he says. “They didn’t event test an ICBM.” The gravest fear is of North Korea developing an intercontinental ballistic missile capable of mounting a nuclear warhead. Personal grievances aside, it’s impossible to dismiss Pyongyang’s aggressive behaviour. Indeed a failed missile test in March 2012 was reportedly headed in our direction, with a personal warning issued to Bob Carr by the US State Department. Australia has long been on alert to a threat from the north. The 2009 Defence White Paper considered “threats posed by ballistic missiles and their proliferation, particularly by states of concern such as North Korea,” as potential strategic challenges. Recently, the National Security Strategy also flagged the tensions and unstable environment on the Korean Peninsula, particularly arising from North Korea, as worrisome for Australia. North Korea’s withdrawal from the Nuclear Non-Proliferation Treaty in 2003, the most comprehensive international agreement to halt the spread of nuclear weapons, still draws widespread condemnation; it’s nuclear ambitions continuing to alarm world leaders. Consequent six-party talks and other negotiations about its suspected – and self-professed – nuclear program have failed to reach a suitable compromise. Australia has been one of the 15 members of the Security Council who, in January, unanimously voted to adopt sanctions against North Korea under Resolution 2087. These imposed travel bans and asset freezes on some senior officials. In response to the latest nuclear test in February, the most recent resolution strengthened and intensified the sanctions already in place since its first test in 2006. For Australia, these sanctions mean a ban on supplying, selling or transferring all arms and related material to North Korea as well as a wide list of items, materials, equipment and technology that relates to ballistic missile programs or weapons of mass destruction. These impositions have only served to aggravate the regime further. While Pyongyang continues to conduct missile and nuclear tests in clear violation of Security Council Resolutions, its nullification of the 1953 truce to end the Korean War stands as the most problematic of its retaliatory actions so far. In this regard, Dr Petrov considers the situation to be more serious now than it was in January or last December. AUSTRALIAN Foreign Minister Kevin Rudd has warned that nuclear missiles from North Korea could one day reach Australia, dubbing the Stalinist nation “detached from reality”. The warning comes after ministers from North Korea and South Korea held a surprise meeting at the weekend on the sidelines of a security summit in Bali, raising faint hopes of a resumption in disarmament talks. But Mr Rudd said North Korea must change its behaviour after it accused the US and South Korea of being “sources of provocation” on the Korean peninsular. “It’s clear to me that the government of North Korea is detached from reality if it believes that others are the source of this destabilisation, rather than they themselves,” Mr Rudd said. Simmering tensions between the two countries — that technically remain at war — boiled over last year after North Korea torpedoed a South Korean warship in March, killing 46 sailors, and in November fired artillery shells onto the disputed island of Yeonpyeong. Mr Rudd said North Korea’s efforts to enrich uranium was in defiance of UN Security Council resolutions. “If you match the uranium enrichment program by the North Koreans with their missile development program, progressively North Korea represents a threat not just to the South [Koreans], but also the wider region, including Australia,” he said. Pressed on whether this meant a direct threat of missile attack on Australia, Mr Rudd stressed the risk lay over time. Mr Rudd said he had “robustly responded” after an extraordinary outburst at the closed-door summit by the North levelled at the US and South Korean governments. US Secretary of State Hillary Clinton responded cautiously to the meeting of Korean ministers, warning North Korea must demonstrate a “change in behaviour” before negotiations could resume. Former Australian foreign minister Alexander Downer made a similar warning to Mr Rudd’s in 2006. Thank you, for your letter of response concerning our society request for assistance to provide urea fertilizer to our friendship farm in Pyongyang. Due to recent tragic events caused by a huge typhoon that has severely damaged approximately eighty percent of farmland in the DPRK particularly rice paddy fields and maize’s crops the people of the DPRK are once again facing severe food shortage particularly innocent women and children. In addition to the damaged to rice paddy fields and other crops from reports that we have received the typhoon has also caused considerable damaged to infrastructure and power transmission lines interrupting the harvesting of crops that may have been spared from the typhoon. Unfortunately this tragedy will cause even further food hardship in addition to the previous difficulties as a result of the high price for food on the international market. This recent tragedy can only increase the demand for emergency food grants being made available to the DPRK if the people are to avoid severe food shortage and a deterioration of the overall health of the population. In the interest of diplomatic relations with the DPRK and for the sake of avoiding undue suffering to the innocent our society is requesting that your government consider and immediate grant through an international aid organization to assist the people of the DPRK during this period of severe hardship. 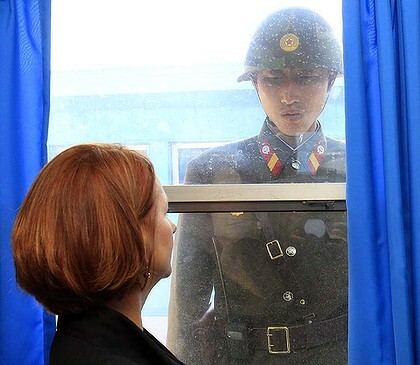 THE Prime Minister, Julia Gillard, has hardened her uncompromising position on North Korea’s nuclear program, at a time when diplomats say the isolated regime is reaching out to talk. North Korean officials have made unprecedented overtures to American and European diplomats about restarting talks on nuclear weapons and food aid, officials privy to discussions have said. The approaches coincide with reports that North Korea is at risk of mass starvation on a scale it has not experienced in more than a decade following summer floods, an extreme winter and general economic dislocation. But South Korea, the US and Australia have dismissed the prospect of talks until North Korea meets tough preconditions. South Korea says the North must apologise for two deadly attacks last year. In recent weeks senior North Korean military officials have made overtures to counterparts in several North Atlantic Treaty Organisation countries, including at embassies in Beijing. At least one of those approaches has been rebuffed while others have led to informal discussions about three-way talks between Pyongyang, Seoul and Washington. North Korean military officials have floated the prospect of ending the North’s nuclear weapons program in exchange for a peace treaty, to formally end the Korean War, and US forces leaving the Korean peninsula. “I think they really want to do a deal,” said a European diplomat, after what he described as candid discussion with a North Korean military officer. “I can tell you the North Koreans are reaching out in a way they’ve never done before,” said an adviser who has been privy to some of the conversations. So far Seoul and Washington have declined to engage. South Korea is deeply divided on what to do with its northern neighbour. “The problem is they want our rice and money but they won’t give up their nuclear weapons,” said Park Syung-je, a North Korea expert at the Asia Strategy Institute in Seoul. Choi Jong-kun, at Yonsei University, said South Korean domestic politics should not stop Ms Gillard from engaging with the North. ”Make your own case, get involved in humanitarian aid, train them, spoil them with capitalism,” he said. FOR observers of global politics, the paranoia was ratcheted up a notch or two last night. The Voice of Russia announced that Kim Jong-un has been proclaimed as the official successor to his dad, the Dear Leader, Kim Jong-il. The DPRK, not usually associated with the scourge of youth obesity, will be led by a fat kid in the event of Kim Jong-il’s demise. It comes as no surprise. The pudgy face, multiple-chinned lad has been paraded before the North Korean people and as much as this reclusive and secretive state is comfortable with, shown off to the world. Sure, Jong-un’s a couple of Mars bars over his fighting weight but he’s a good looking boy, at least according to some gushy North Korean women who tittered yesterday that he looked just like his old grandad, the Great Leader, Kim Il-sung. His father, of course, is the Dear Leader. In keeping with Kim family best practice, Kim Jong-un will bear the moniker of “the Brilliant Comrade”. Kim Jong-un is just 26- or 27-years-old depending on who you believe. The Kims tend to amend their birth days to dates with greater numerical symbolism. Kim-Jong-il was born on 16 February 1941 but as that year was not bursting with splendid auguries his birth date was changed to 16 February 1942. Similarly, it’s no accident that the announcement of Kim Jong-un as the anointed successor occurred on 10 October, 2010. 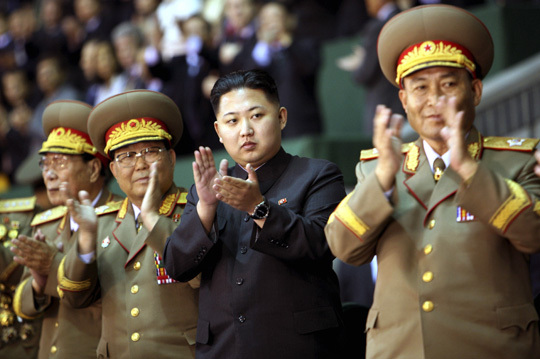 Kim Jong-un is the world’s first PlayStation, four-star general. I mean, look at the boy. He has the appearance of a lad who spends a lot of time in his bedroom with his joystick in his hand (let’s not start a diplomatic incident by misconstruing that sentence). Clearly the speed in which he got to the end of Call of Duty One and Two impressed his father so much that he was promoted to four-star general a month ago. According to his chef, Kenji Fujimoto (again it should come as no surprise that he has his own personal chef), Jong-un is the pick of the Kim litter. He can handle his fire water, or so Fujimoto says, which is an ominous prospect for those who imagine him giggling with his index finger hovering dangerously over the nuclear button. After his old man drops off the branch, Kim Jong-un will command a 1.2 million-strong army with 17,900 field artillery pieces – about 500 of which can reach Seoul – enough to pound the city of twelve million people with half a million rounds in the space of an hour. There’s an armada of 1,000 boats bristling with weapons and an aging but still considerable 1,800 craft air force. Oh, and an estimated nine nuclear warheads. In the gamer’s parlance, Jong-un is locked and loaded. According to the DPRK’s official news bureau, the Korean Central News Agency, the country spends 15.8% of its GDP on its military (the US spends 4.3%, China 2.0, South Korea 2.8%). In all probability, the DPRK spends a good deal more than that. The trouble for the Brilliant Comrade is that the DPRK’s GDP is a mere US$28.2 billion. It’s always difficult to measure an autarkic economy against a market based one but South Korea’s GDP is just a peg or two below Australia’s at US$900 billion. The DPRK has a substantial black economy as the state is engaged in arms and narcotics smuggling. And little if any of this black money goes to putting more kimchi on the tables of the North Korean people. The profits from those enterprises are thrown on to the pile for further military spending. The population of the DPRK is closer to ours but is going backwards. This has a lot to do with a high infant mortality rate, low life expectancy and the desperate attempts of so many of its citizens to emigrate. In order to create a seamless transition of power, Jong-un will be quickly educated in the use of insulting political rhetoric. Americans and their friends are “imperialist dogs”, “enemies of the glorious democratic people’s republic”, “class traitors” and so forth. And therein lies the reality. The North Koreans under the Kims have been playing a dangerous game of chicken in the Korean peninsula for more than fifty years. Jong-un will learn that the regime cannot survive without the existence of its enemies. The propaganda that is drip fed into the North Korean people is predicated on the existence of enemies such as the US and South Korea who stand as barbarians at the gate of their glorious socialist paradise. So if there are no enemies there is no need for all that bristling military hardware. The real generals of the Korean People’s Army would find life very difficult under these circumstances. So the cycle of threat and counter-threat will continue for the foreseeable. But games of chicken can end badly and when the time arrives (and it will soon), the rise to the throne of this fat kid whose only discernible skill is an aptitude with gaming controls while sitting in front of a gigantic television screen, is a troubling a prospect for world peace. An investigation has found North Korea was responsible for the March incident which claimed the lives of 46 sailors. Prime Minister Kevin Rudd on Thursday condemned the act as “deplorable”, describing it as “hostile and unprovoked”. Australia is working with other US allies on that response, which may include action in the UN Security Council. Five Australian navy officers worked on the international investigation into the incident. Three were qualified in maritime accident investigation, while two helped with intelligence analysis. The sinking of the Cheonan warship has reignited tensions in North Asia, an area crucial to Australia’s economy. China has backed North Korea in the past, while the US and Japan have condemned the latest attack. Australia’s foreign minister Stephen Smith and Defence Minister John Faulkner are already in Japan for pre-organised defence talks. While North Korea denies it was to blame for the sinking and has threatened “all-out war”, Dr Cook said, the situation was unlikely to lead to a direct military confrontation as South Korea had too much to lose. More likely was a fresh round of UN sanctions against the North, although this would require China’s support. South Korea could also increase sea patrols, Dr Cook said, or countries could impose travel bans on North Korean officials. High-profile six-party talks aimed at resolving tensions on the Korean peninsula are already in abeyance. Dr Cook said Australia would stand by its fellow US ally of South Korea, and co-ordinate its messages and responses with the alliance. But the chance of real change was not strong. “Probably nobody can do much about it in terms of trying to convince Pyongyang to change behaviour,” he said. Dr Cook said it was a delicate situation because strong action against North Korea could provoke a response, while a softly-softly approach could encourage the rogue state to act provocatively. South Korea will today release evidence that North Korea torpedoed the warship Cheonan, killing 46 sailors, after a multinational investigation involving five Australian Defence Force personnel. 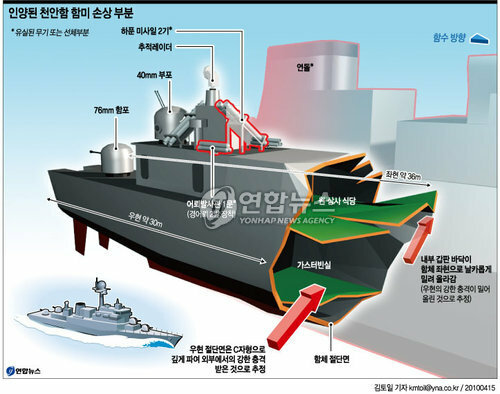 The South Korean government requested help from Australia, the US, Britain, Sweden and Canada in responding to the March 26 sinking, which risks developing into a dangerous regional flashpoint. The investigation team is expected to reveal today that a serial number and explosive traces show the torpedo that sank the warship was made in North Korea, South Korean media reported. A Royal Australian Navy accident investigation team, led by Commander Anthony Powell, arrived in Seoul on April 13. They provided expertise in piecing together clues in the ship’s structure, as well as scientific skills. Two Australian maritime intelligence officers and a naval officer remain in South Korea as part of the investigation team that will make the public announcement today. Seoul is likely to use the findings to seek international diplomatic support for tougher economic sanctions against North Korea, and to raise the issue with the United Nations Security Council. While Japan and the US are likely to support such action, China, a reluctant critic of the North Korean regime, has a veto on the Security Council. Dr Adrian Buzo, a former Australian diplomat in Pyongyang and author of The Guerilla Dynasty, said the South Korean public would demand its government take a stern line in blaming North Korea. ”They have 45 servicemen [who] have died by [a] direct North Korean act of war. They have a domestic political reason to be tough,” Dr. Buzo said. Dr Leonid Petrov, of the University of Sydney, said the South Korean government needed to tread warily, and was limited in what action it could take beyond words. ”North Korea may deny it or use it as a provocation. South Korea should be very careful because the war hasn’t finished. It is an armistice regime on the peninsula … It is another pretext for six-party talks not to resume,” he said. Six-party talks aimed at halting North Korea’s nuclear weapons program have been stalled since 2008, and tough trade sanctions have already been imposed in response to a nuclear test by Pyongyang last year. Both the North Korean leader, Kim Jong-il, and the South Korean President, Lee Myung-bak, travelled to China this month before the release of the investigation findings. The Foreign Affairs Minister, Stephen Smith, said in Shanghai on Tuesday that North Korea’s ”ongoing conduct is a threat” to the security of the region, and China could play an important role in bringing Pyongyang back to dialogue with the international community. ”China can be an important influence on [North Korea], as reflected by President Kim’s recent visit to China,” he said. In My Community News. 19 May 2009. A CONTAINER load of hospital equipment from the old Gosnells Hospital was sent to North Korea last week as part of an aid program for orphanages and hospitals in Pyongyang. The shipment was organised by Amaroo Care Services property and assets manager John Hansen. Mr Hansen raised $17,200 with help from suppliers, residents, staff and local churches to buy the container and ship it to North Korea. “It was a joint community commitment to make use of a resource which we were unable to use in Australia,” he said. The equipment included hospital beds, patient transfer trolleys, operating lights, mattresses and linen. Volunteers and Amaroo staff spent about 152 hours cleaning the gear and packing the container. Mr Hansen said Amaroo had been looking to provide a home for the equipment after the organisation bought the old hospital last year. Amaroo chief executive officer David Fenwick said the equipment would be welcomed by North Korean hospitals. John Hansen, Manager Property & Assets had the idea of donating the equipment from the old Gosnells Hospital to Korea because it had been superceded in Australia and can’t be sold here. He made contact with the mission agency which is active in North Korea and supports hospitals and orphanages with donations of aid, including food, clothing and equipment. The Amaroo Board supported this plan. Greg O’Connor from the mission says the doctors in the hospitals there are excited about this gift. There is just one small snag. We need to raise the $15,000 to pay for the container. John Hansen invites you all to a presentation on 5th February at 3 pm at Nancye Jones to meet Greg O Connor and see a DVD about some of the projects they have been involved in. One is an orphanage. The picture on the left shows some of the gorgeous North Korean children after two months in the orphanage receiving proper care. Admin and Maintenance staff had a Breakfast in December at Dots Cafe to raise money for the cause. The photo on the right shows Monique Van Den Elzen- Clerical Assistant, Robbie Heerama- Maintenance and Tina Foster, Resident Services Co-Ordinator. MELBOURNE : Weapons including rocket-propelled grenades were found on an Australian-owned ship seized by the United Arab Emirates while travelling from North Korea to Iran, Australia’s transport minister confirmed Sunday. Anthony Albanese said Australia was investigating the vessel ANL Australia, which was reportedly stopped earlier this month carrying a shipment of North Korean arms. “I can confirm that that is the case,” Albanese told Channel Nine television when asked whether weapons including grenade launchers were found on the ship. The vessel’s seizure marks the first time a nation has acted on UN sanctions to stop the communist state’s arms proliferation, a UN diplomat told AFP Friday. Albanese said Australia took its responsibilities under the UN sanctions seriously and the foreign affairs department was investigating the circumstances surrounding the seizure. 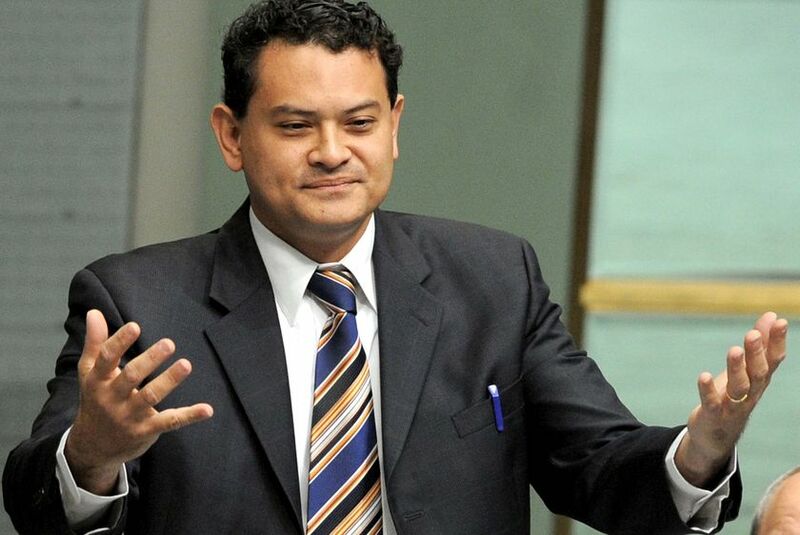 “We are investigating as to whether there have been any breaches of Australian law,” he said. The incident emerged despite a recent easing of tensions with the hardline communist nation, which has been seeking a resumption of talks with the United States three months after stunning the world with a nuclear test. But the seizure is seen as an indication that North Korea remains set on exporting its military technology, long a top money-maker for one of the world’s poorest and most isolated nations. The arms had been falsely labelled “machine parts,” the Financial Times reported. ANL is a Melbourne-based subsidiary of the world’s third-largest container company CMA CGM, which has its global headquarters in the French port of Marseille. Calls to ANL’s Melbourne office went unanswered Sunday. CMA CGM’s website says the ANL Australia is a Melbourne-registered, Bahama-flagged container ship built in 1991. A new round of UN sanctions were approved unanimously on June 12, under resolution 1874, in response to North Korea’s earlier nuclear weapons test along with missile launches. The resolution included financial sanctions designed to choke off revenue to the regime, and also called for beefed-up inspections of air, sea and land shipments going to and from North Korea, and an expanded arms embargo. North Korea responded furiously to the sanctions, vowing to expand its nuclear programme and bolting from a six-nation disarmament agreement. Pyongyang in the past acknowledged selling military technology overseas, declaring it to be a sovereign right. Chris Schultz, general manager of business development at ANL Australia, said to the Sunday Telegraph he was unaware an ANL vessel was involved in any seizure. “This is the first I have heard of it,” Mr Schultz said. He admitted the ship was the property of ANL but refused any further comment. Shipping Australia (SAL) is surprised at the media storm over the discovery of arms in containers aboard an Australian-owned ship in July. SAL chief executive Llew Russell said it would be surprising if there was any evidence of a link to Australia and Australians on which to base an investigation, other than the ship’s name. “On the information we have, [it has] not been established,” Mr Russell said to Lloyd’s List DCN. I am writing to express my profound condolences to you and your government on the tragic death of former President Roh Moo-Hyun. Former President Roh was a courageous and idealistic man whose work for regional peace was profoundly appreciated by people around the world. All Australians who truly care for Korea mourn his passing, and share the grief that I am sure you must also feel at this sad event. Trade Minister Simon Crean held talks in Melbourne with Korea’s Minister for Trade Kim Jong-hoon on May 18 to launch the Free Trade Agreement negotiations between the two nations. Mr Crean said the launch sent a powerful message on trade liberalisation in the midst of the global recession. For further information on the Australia-Korea FTA. The Australian Government accords high priority to the views and expertise of all stakeholders with interests in our commercial relationship with Korea. 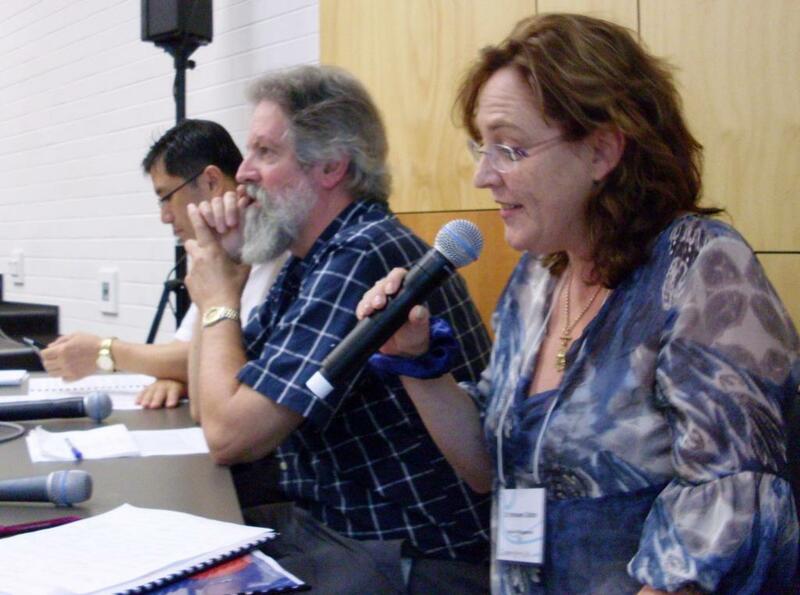 As part of the process of developing positions for any proposed FTA negotiations,the Department of Foreign Affairs and Trade (DFAT) invited public submissions and comments from individuals and groups on the expected economic, regional, social, cultural, regulatory and environmental impacts of an FTA with Korea. Here is one opinion expressed by a concerned member of public. “Both Seoul and Pyongyang governments will inevitably have to seek to contain their own internal dissent together with historical rivalries between them following implementation of existing and new trade agreements. Australia, with its relatively small defence capability and ever greater responsibilities thrust upon it, potentially faces very real prospects of having to counter perceived hostilities from the Korean peninsula” — argues Richard Stone from South Australia — “The next few years are likely to be a period marked by conflict and adjustment for the ROK and DPRK [….] Australia, in this context, is entering into a situation akin to sailing through uncharted waters in a boat too small to deal with the potential deluge”. IT SOUNDS counter-intuitive, but building a shield to protect yourself from attack can make you less safe. Australia is about to learn that lesson. North Korea has announced that, some time between April 4 and 8, it will launch a satellite into space. The US and its Pacific allies are nervous, as well they might be. 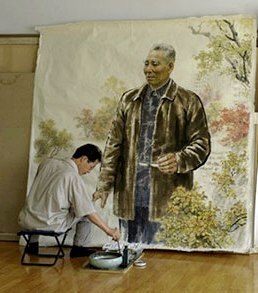 After all, North Korea’s leader, Kim Jong Il, is a riddle wrapped inside a Mao suit. Who knows what he is capable of? And it’s impossible to know what his rocket will be carrying under its nose cone. Could it be a satellite for broadcasting revolutionary propaganda? Or is it a nuclear warhead aimed at Seoul, Tokyo or Los Angeles? Because of that uncertainty, the US and Japan will monitor the launch and have threatened to shoot down the rocket if they think it endangers them. That they are able to make this threat is due to a remarkable technological feat. Today, after two decades of multibillion-dollar budgets, it can honestly be said that parts of America’s ballistic missile defence network — the stepchild of Reagan’s “Star Wars” program — actually work. Based on successful tests of its ship-based missile defence system, the US now really can “hit a bullet with a bullet”. The US has exported this technology to Japan, and it looks like Australia wants in too. We should get a decision on this in the imminent defence white paper, but we already know from the Labor Government’s party platform that it favours a limited Australian missile defence capability. In practice, that will mean our three new air warfare destroyers will be built with the capability to detect and possibly shoot down some classes of ballistic missiles. Good news, right, given how potentially unstable Kim is? Not really, because if North Korea ever perfects its Taepo Dong 2 missile, which might have the range to reach Australia, we would still be defenceless. Long-range missiles such as the Taepo Dong 2 travel too high and too fast. Our system would work against shorter range missiles only, so it could protect our troops deployed overseas but it couldn’t defend the homeland. That sounds like a limited though still useful capability to have. But to understand how it might make Australia less safe, imagine if we had such a capability today, just as North Korea is readying its rocket. First of all, just having the capability creates difficult diplomatic choices. Australia has long maintained a somewhat independent foreign policy stance on North Korea — unlike Japan and the US, we have diplomatic status in Pyongyang. That buys us some flexibility and might even make us useful as a conduit to the regime or as an honest broker. What would happen to that valuable diplomatic flexibility if we deployed our warships off North Korea? On the other hand, what if we didn’t? What would Japan and the US think of our reluctance to help defend them from potential attack? Yet those curly questions pale against the true significance of an Australian missile defence capability in this scenario. It’s important to understand that although our air warfare destroyers could not intercept a long-range North Korean missile, they could help track one using their powerful radars. In missile defence, fast and accurate information is key, and the US and Japan have deployed a whole suite of radars and satellites to help them shoot down a missile aimed at them. If Australia had a missile defence capability on its destroyers today, we could sail one such ship north to form part of that network, and thus help defend Japan and the US. Now put yourself in Kim’s shoes. If you are intent on raining nuclear destruction down on your enemies, and you have only one missile on the launchpad, would you take the risk of trying to get through those defences? Perhaps, but it might also cross your mind to fire the missile at an undefended target. An American ally, perhaps, with widely dispersed cities that present big targets for your highly inaccurate missile. So there’s the rub: by sending our ship north to help protect our allies, we would strengthen their defences, making it more likely that North Korea would fire its missile at us instead. Talk about an own goal. Let’s be clear — none of this is likely to happen. First, North Korea’s technology is primitive, and it may never develop a truly long-range missile. Second, Kim knows that if he tried a nuclear sneak attack, the US would retaliate, and then some. The Pyongyang regime may be eccentric, but it shows no sign of being suicidal. Ballistic missile defence is seductive because it promises a neat technological fix to a problem — missile and WMD proliferation — for which we currently have only messy diplomatic solutions. But missile defence can’t solve the problem of North Korea’s nuclear weapons. At best, it buys the US and Japan some time in its negotiations with North Korea, and gives them a useful tool for managing tensions such as those we are now experiencing as a result of Pyongyang’s latest piece of brinkmanship. Unfortunately, missile defence could have the perverse effect of making the North Korea threat bigger for Australia. And were we to invest in missile defence ourselves, we might actually be contributing to that deterioration in our security. That’s why the “messiness” of a diplomatic solution will continue to be the best hope for Australia and its friends and allies who want to disarm North Korea. Collectively, there is simply nothing for it but to hold our noses, sit down and talk to Pyongyang. 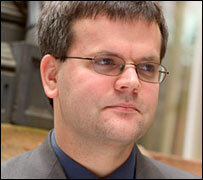 Sam Roggeveen is editor of The Interpreter, a weblog of the Lowy Institute for International Policy. …There are many experts here today, from Korea and elsewhere, who will be able to give you first hand information about human rights abuses in North Korea . I particularly welcome the participation of the UN Special Rapporteur on the Situation of Human Rights in the DRPK, Professor Muntabhorn. He has recently reported to the Human Rights Council and I am sure he will bring a well-informed and current perspective to discussions later today. Professor Muntabhorn’s report makes for troubling reading in its cataloguing of the systematic violation of human rights in North Korea . From denial of the simple right to food and basic necessities to State-sanctioned torture and execution, millions of innocent people in North Korea are suffering under a brutal regime. This situation is all the more galling given the considerable expenditure of resources in North Korea on missile and nuclear programs. Much of the international community’s attention is understandably focused on these programs and Australia has long held grave concerns over them. Australia deplores provocative North Korean actions like its current planned missile launch, and urges that this not proceed. Australia also strongly supports Japan ’s call for a full accounting of the fate of Japanese citizens abducted by North Korea. Pyongyang ’s continuing unpredictable behaviour is a stark reminder of the dangers of nuclear proliferation. We are using our strong non-proliferation credentials to support international efforts towards denuclearisation of the Korean Peninsula , including the Six Party Talks. The Australian Government does not, however, believe that these efforts should impede parallel action to address the grave humanitarian situation in North Korea. That is why events like today’s Conference are so important. We need to continue to raise awareness, exchange information and explore new approaches to addressing the appalling violation of human rights in North Korea . We must remember that behind the statistics there are thousands of individual lives being lived and lost. I was particularly struck by the recent story of Shin Dong-hyuk, the only person living in South Korea known to have escaped from a North Korean prison camp. Shin was born in the camp, sentenced with his family to a life of unimaginable horror and misery because of the supposed crimes of his uncles. Shin was tortured by fire, had a finger amputated and witnessed the shooting of his brother and the hanging of his mother before escaping to the South. To read of these almost unfathomable cruelties is to glimpse State-sanctioned behaviour that is anathema to our common human dignity. The true magnitude of the situation comes with the realisation that Shin’s ordeal is by no means an isolated case. How do we respond to the tragedy of a State’s blatant disregard for its own people’s welfare? Our priority must be to provide assistance in those areas where we can do so with immediate effect. For Australia, this means providing humanitarian assistance including food, water, sanitation and medicines and ensuring this assistance is well-targeted and delivered effectively to those in need. Since 1994-95, Australia has contributed $75.7 million in humanitarian assistance to the people of North Korea . Our commitments this financial year are A$6.75 million to date. Australia also consistently registers our deep human rights concern bilaterally with the North Korean Government. Our Ambassador to South Korea visited Pyongyang earlier this month to express our position. We are, however, keenly aware that effective pressure on human rights standards in North Korea will best come from concerted international action. North Korea may be isolated, insular, and indeed sometimes impervious to the outside world but we continue to believe that action by the international community can produce positive results. Australia is therefore active in international fora in encouraging human rights institutions to take coordinated action. Australia co-sponsored a resolution on the human rights situation in North Korea at the most recent UN General Assembly late last year. That resolution expressed serious concern over reports of systematic violation of human rights, including torture and inhuman conditions of detention as well as violations of economic, social and cultural rights which have led to severe malnutrition and health problems. 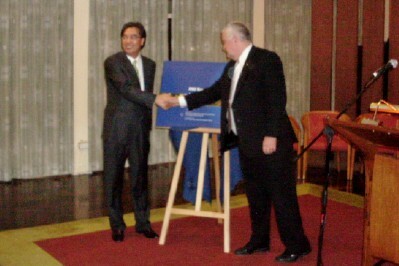 On 11 August 2008, Prime Minister Kevin Rudd met with Republic of Korea (ROK) President Lee Myung-bak in Seoul. The two leaders agreed to the commencement of preparatory talks between officials on an Australia-ROK Free Trade Agreement (FTA). The Government accords high priority to the views and expertise of all stakeholders with interests in our commercial relationship with Korea. As part of the process of developing positions for any proposed FTA negotiations,the Department of Foreign Affairs and Trade (DFAT) is inviting public submissions and comment from individuals and groups on the expected economic, regional, social, cultural, regulatory and environmental impacts of an FTA with Korea. Submissions need not be lengthy, and may build on or refer to submissions made during the joint non-government feasibility study on a bilateral FTA. All submissions will be made publicly available on the DFAT website unless the author specifies otherwise. South Korea and Australia have been holding talks to expand their co-operation as Asia-Pacific middle powers. 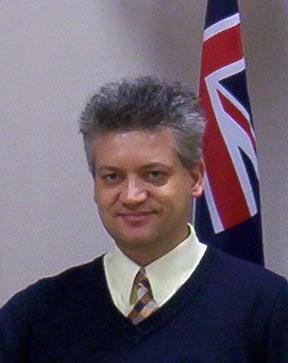 Radio Australia’s Linda Mottram speaks to Doctor Leonid Petrov, North Korea expert from the Australian National University. Australia and South Korea enjoy a strong relationship particularly when it comes to trade. South Korea is Australia’s fourth largest export market and its sixth largest overall trading partner. SMITH: Well, thanks very much for turning up. I’ve been very pleased this morning to welcome to Australia, Foreign Minister Yu, the Foreign Minister of the Republic of Korea, of South Korea. And we’ve just laid a wreath at the War Memorial. This reflects the start of the modern day relationship between Australia and South Korea, and Australia’s contribution in the Korean War is very gratefully appreciated by Korea itself. And the wreath-laying reflects the importance of the Australian contribution in the Korean War in the 1950s. Since that time, of course, we’ve established a very successful and strong modern-day relationship. It started, of course, with an economic relationship, particularly minerals resources from Western Australia; originally iron ore, but more recently iron ore, coal from other parts of Australia, crude oil, and we’re now looking at the potential for greater exports of liquefied natural gas. So it’s a very important energy relationship. Our economic relationship, our trade investment and economic relationship, of course, is much more than minerals and petroleum resources. It now crosses the array of goods and services. It’s also very important people-to-people contacts. We are the single third-largest destination for South Korean students and we have a very large number of Koreans, young Koreans who come here for work holiday purposes. South Korea and Australia have been holding talks to expand their co-operation as Asia-Pacific middle powers. Radio Australia’s Linda Mottram speaks to Dr Kim Woosang, South Korea’s ambassador to Canberra. 호주 내 한국학 태동의 산파역할을 해온 호주국립대(Australian National University)가 ‘향후 양국관계 발전의 학술적, 이론적 방향등’을 제시할 ‘한국 연구소(Korea Institute)’를 15일 공식 출범했다. 호주 국립대학 한국 연구소의 출범은 양국의 대표적 철광기업인 BHP Billiton과 Rio Tinto 그리고 한국 POSCO의 적극적인 협력과 지원으로 이뤄지는 등 지난 30여년 동안에 걸친 한국 POSCO와 두 호주 기업체간의 성공적인 경제 교류가 일구어 낸 성과로 평가된다. 15일 호주 국립 대학교의 University House 에서 진행된 출범식에는 김우상 주호 한국대사, 피터 로우 주한호주대사, 임성준 한국국제교류재단 이사장, 마이클 레스트랜지 외교차관 그리고 BHP Billiton의 버니 디래니 부회장, 우선문 POSCO 호주 법인장 등 양국 주요 정치, 경제, 학계 인사 150여명이 참석했다. 출범식에서 이안 쳐브 호주 국립대학교 총장은 “제임스 폭스 본교 교수를 한국 연구소 임시 소장으로 임명했다”면서 “한국어를 넘어 정치, 경제, 외교, 무역, 경제, 여성 역사 및 문학, 사회 운동, 음악, 영화 등 한국 전반에 관한 연구를 담당할 한국 연구소는 양국 관계를 다양하게 발전시킬 좋은 기회가 될 것으로 이는 아시아-태평양 지역 정책 입안에도 영향을 끼칠 것”이라며 원대한 포부를 밝혔다. 지난 주 실시된 한-호 정상회담 참석 차 한국을 다녀온 뒤 출범식 당일 아침 호주로 귀국한 김우상 주호 한국 대사는 “한국 연구소가 정상회담에서도 소개가 됐다”고 설명하며 “본 연구소가 학술적으로 의미가 있다는 것은 언급할 필요가 없거니와 한-호 양국의 관계를 향상시키고 또한 호주 내에서는 일본, 중국에 가려진 한국을 더욱 더 알리고, 더 많은 한국 전문가들을 배출할 수 있는 기회가 될 것”이라고 말했다. 김 대사는 이어 “한국 연구소의 활동이 아시아 4개 언어의 하나인 한국어가 차후 호주 공립학교에서 활발하게 교육되는데도 큰 역활을 할 수 있게 되길 기대한다”고 덧붙였다. 김 대사는 또 “호주 대사로 부임한지 이제 겨우 3개월이 됐지만 양국 정상회담을추진하고 오랜시간 기다려야 만날 수 있는 주재국 수상을 벌써 3차례나 예방하는 등 대사로서 해야할 일들을 짧은 기간 안에 다 해 버린것 같다”며 “한-호 양국의 관계가 좋은 만큼 한국을 호주인들에게 알리는 것을 대사로서 해야할 최우선의 업무로 생각하고 한국 알리기에 전력을 다하는 효율적인 외교업무를 수행하겠다”는 재치있는 연설로 많은 박수를 받았다. 피터 로우 주한 호주 대사는 “한국 연구소가 호주의 3대 교역국인 한국에 대해서 알아가고, 한-호 양국 관계, 그 미래에 대해서 연구할 수 있는 곳이 되길 기대한다”며 “오늘 호주 국립대학교와 양해각서를 체결하는 한국 연세대학교에서도 차후 호주 연구소를 개설키로 논의한 만큼 호주 연구소 역시 한국에서 호주 국립대의 한국 연구소와 같은 효과를 창출해 내길 바란다”고 밝혔다. 이번 출범식을 기획한 호주 국립대 태평양-아시아 연구소 김현아 교수는 “한국과 호주 기업들의 성공적인 관계로 출범케 된 한국학 연구소는 호주 국립대 내에서 한국어를 비롯 한국 관련 모든 연구에 있어 주도적인 역할을 하게 될 것”이라며 “하지만 한국 연구소는 대학내 부설기관에 그칠 것이 아니라 한국을 호주 내에 알리고, 한국에 대한 호주인들의 이해를 높혀줄 한호관계를 대표하는 기관으로 나아갈 것”이라고 전했다. 김 교수는 이어 “지금까지 호주 내에서 한국 연구소가 설립됐다가 소리없이 사라지는 전례가 있었지만 이번 한국 연구소는 국립대에서 개소하는 만큼 그 기초 기금이 유지될 것이므로 지속성 및 영속성을 보장할 수 있을 것”이라고 설명했다. 김 교수는 더불어 “인재 양성만이 한국의 위상을 높히고, 그 영향력을 올바르게 키워나갈 수 있다”는 점을 적극 부각시키며 “대의적인 시각에서 미래를 위해 한국 연구소에 대한 많은 한인 동포들의 지지를 부탁한다”고 당부했다. 호주 국립대 학국 연구소는 출범식을 기해 그 활동을 시작한 상태로 2009년부터 매년 1명의 박사과정 장학생을 선발하고, 연구 주제가 정해지는대로 프로젝트에 착수할 것으로 알려졌다. 한편, 이날 출범식에는 호주 국립대학교와 한국 연세대학교과 상호 교류 협력에 대한 양해각서를 체결하는 자리도 마련됐다. 연세대학교는 지난 11일 호주 국립대와 e-강의를 개설 캔버라와 서울을 연결한 바 있으며 방한 중인 케빈 러드 수상이 그 자리에 참석했다. 신명순 연세대 교학 부총장은 “연세대 내 호주 연구소 개설에 대해서는 논의가 되긴 했으나 아직까지 본격적인 기금이 마련되지 않은 관계로 정확한 시기를 예측하긴 어렵다”고 밝히며 “하지만 한-호 관계 발전을 위해 연세대와 호주국립대의 학술협력 증진을 위해 노력하겠다”고 말했다. 한국 연구소의 출범으로 호주 내 한국학 연구의 본산으로 올라서길 기대하고 있는 호주 국립대학은 그 밖에도 10월 14일부터 이틀동안 한국 동아시아 연구소와 공동으로 ‘호주-한국 리더쉽 포럼’의 창립 포럼을 캔버라에서 개최할 예정이다. 연례 포럼으로 개최될 ‘호주-한국 리더쉽 포럼’에는 정부각료, 정치 경제 인사, 학자 등 엄선된 한-호관계 지도자급 전문가 20명이 초청될 예정이며, 이들은 외교, 비즈니스 및 무역, 지역안보 및 협력 등에 대해 심층 토론을 펼칠 것으로 전해졌다. Pyongyang, August 26 (KCNA) — Kim Yong Nam, president of the Presidium of the DPRK Supreme People’s Assembly, received credentials from Australian Ambassador to the DPRK Peter Jason Rowe at the Mansudae Assembly Hall today. On hand were Vice Foreign Minister Kim Yong Il and staff members of the Australian embassy. Kim had a talk with the ambassador after receiving the credentials. Pak Ui Chun, minister of Foreign Affairs of the DPRK, met and had a talk with Peter Jason Rowe, new Australian ambassador to the DPRK, who paid a courtesy call on him today. The South Korean Ambassador to Australia is hoping a recent visit to Seoul by Prime Minister Kevin Rudd will help improve bilateral relations. South Korea is Australia’s sixth largest partner when it comes to two-way trade. The relationship between the two countries doesn’t enjoy the same profile that its north Asian neighbours China and Japan have in the Australian community. When the Australian Labor Party was elected to office last year led by Kevin Rudd, there was great emphasis that he travel and meet with leaders in the US, Europe, China and Japan. The Korean republic rarely figured in discussions about destinations. Prime Minister Rudd, following his second visit to China since becoming leader, left Beijing after seeing the Olympic Games opening and headed to Seoul for a brief visit. During the stop-over in meetings with Korean President Lee Myung-Bak trade naturally enough was a major issue. Mr Rudd says there was a realisation that discussions underway for a Free Trade Agreement between the two countries must continue. The conversation also touched on other matters such as education, and climate change. South Korea’s most senior representative in Australia says Prime Minister Kevin Rudd can assist in the six-party talks aimed at ending North Korea’s nuclear program. Australia is not a member of the group which comprises South and North Korea, Japan, Russia, China and the United States. However, the subject was raised during the Australian prime minister’s recent visit to Seoul. Seoul’s ambassador to Australia Kim Woo-Sang says Mr Rudd’s understanding of China could be a great help. 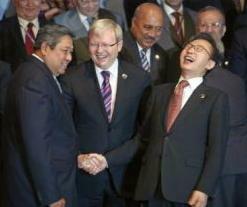 “Prime Minister Rudd speaks Mandarin and has many good friends in China,” he said. “If he could be helpful he could persuade Chinese leaders to play a more active role in six party talks system.” The ambassador says China has done well so far, but with Mr Rudd’s assistance Beijing could possibly do more. Australia’s Prime Minister Kevin Rudd says Australia and South Korea will begin formal discussions on a free trade agreement in Canberra next month. Mr Rudd was recently in South Korea and met the country’s President Lee Myung-bak in the capital Seoul. The two leaders had been due to discuss climate change and Mr Rudd’s idea for a Europe-style Asia Pacific community. This year the two Korean states are celebrating their 60th anniversary. Established respectively in August and September 1948 the Republic of Korea (ROK or South Korea) and the Democratic People’s Republic of Korea (DPRK or North Korea) both have covered a long and winding road of struggle for recognition, survival and prosperity. With different degrees of success, both states have entered the 21st century of Globalization but still refuse to recognise each other. Ideological confrontation between the East and the West, which sparked a civil conflict in Korea, continues to dominate inter-Korean politics now and effectively prevents the prospect for reconciliation and peaceful unification. All these years Australia has been one of the countries intimately involved in political developments on the Korean peninsula. As part of the West, Australia was closer to the ROK and even fought on its side during the Korean War (1950-1953). Active economic, cultural, and human exchange continued cementing the firm alliance between South Korea and Australia. These days the ROK is Australia’s third largest trading partner; South Koreans visiting Australia reach hundreds of thousands every year; academic and language exchange is on the rise. This year both countries decided to start the process leading to the Free Trade Agreement, which will fully open their domestic markets to each other. Australia and South Korea: New Governments…New Opportunities? Essay: Australia and South Korea: New Governments…New Opportunities? For most Australians, South Korea appears on their radar screen intermittently at best. Korea’s hosting of the 2002 soccer world cup, volatile political demonstrations, crises with North Korea and its success in the current Beijing Olympics are some such occasions. But the future of the Korean peninsula, in particular the outcome of negotiations with North Korea involving South Korea, the United States, China, Japan and Russia, has enduring importance for Australia. No-one can predict at this stage how successful these six-party talks will eventually be, but there are signs that something workable can emerge. With new governments in Australia and South Korea, and a new US administration early next year, the political landscape in the region from an Australian perspective is changing. Now is an appropriate time for Australia to be rethinking its long term policy interests in Korea. By most measures Australia’s relationship with South Korea is strong and highly beneficial for both sides. South Korea is Australia’s fourth largest export market and its overall sixth largest trading partner in goods and services. Australia provides Korea with essential resources, energy and agricultural products in return for quality manufactured goods from Korea such as autos, telecommunications equipment and electronics. Education and tourism links are substantial. There is a relatively small but useful and growing defence relationship which has the potential to see increased defence sales in both directions. Both countries are allies of the United States, see eye-to eye on most regional and global security issues and are active supporters and participants in regional organisations. Australia and Korea were at the forefront of creating APEC in 1989. High level political contacts such as Prime Minister Rudd’s visit to Seoul this week continue to be an important part of the relationship. And yet the relationship lacks one of the most important elements which drives Australia’s relationships with its two other north-east Asian partners, Japan and China. In both of these the partners share a sense of the long-term strategic importance of the relationship and have shaped their policies accordingly. Australia’s role as a major reliable supplier of essential energy and resources products to fuel these countries’ economic growth has been vital (as it has with South Korea). Importantly though, the strategic dimensions of the relationship between Australia and Japan, and Australia and China, has taken on greater importance with the changing political and security environment in the Asia Pacific region, mainly due to the economic and political rise of China. The role of the United States in the region, and Australia and Japan’s formal security alliances with the US, have also played into this development. Why then has this longer term strategic dimension been less prominent in the Australia-Korea relationship than in the other two despite the many similarities in the basic building blocks of all three relationships? One of the reasons often put forward from an Australian perspective is that in relative terms the sheer size and international weight of China and Japan simply overshadow Korea despite the latter’s status as an economic powerhouse. Thus, it is argued, Australia and Korea as middle powers can only do so much together, and their priorities need to focus on key strengths and interests. It is of course undeniable that the lure of large, dynamic and growing markets such as Japan in the early post-war period and China more recently is extremely strong, and relationships with other countries tend to play second fiddle. However this is not altogether a satisfactory explanation since neither Australia nor Korea are so lacking in human and intellectual resources that they could not direct more of them to the relationship if there were a will to do so. A more pointed explanation is that Korea itself is understandably preoccupied with its immediate neighbourhood and simply cannot look beyond it in shaping its strategic outlook. Since the devastation of the Korean war over fifty years ago, South Korea has had two abiding objectives: to achieve massive economic reconstruction, growth and prosperity; and to achieve peace and avoid another war on the Korean peninsula. In the first of these, resource-rich countries like Australia played an important role, hence the successful long-term relationship which has developed between Australian resources companies and the Korean steel industry. But with the second objective, which involves not just simply avoiding war but embraces complex emotional issues of national psyche and identity, the United States and China are the key external partners. Other near neighbours such as Russia and Japan also play important roles but countries like Australia play only a minor support role. Australia’s participation in the Korean war is remembered with much gratitude in South Korea but this does not shape its current assessment of Australia’s role in north-east Asia. Thus it is not surprising that, in Korean eyes, while Australia is a valuable supplier of much needed resources and energy to help it achieve economic prosperity, it has little to offer on Korea’s other important national issue. For its part, however, Australia, because of its geographic location, will always have a greater strategic imperative to reach out in the region than will Korea with its understandably narrower geopolitical focus. There is therefore something of a strategic disconnect between the two countries. But it’s not just the political and security relationship. Even in regard to the trade and economic relationship, which has grown impressively over recent decades, Korea and Australia have not tapped the long-term strategic potential to the same extent, even allowing for the differences of size, as we have seen in Australia’s relations with China and Japan. Why this has not happened is perhaps more puzzling than the case of the political and security relationship. The Australian and Korean economies are highly complementary. Australia has land, resources and energy, an educated English-speaking population which can add value to Korea’s strengths; Korea has limited land, is resource/energy deficient, but has tremendous manufacturing and IT strengths which include large and successful international companies. But even here it seems that Korea’s perception is that while Australia is a great supplier of iron ore and coal to Korean steel companies, its market for Korean manufactured products is small and limited. Hence the previous Korean administration relegated Australia well down its list of priorities for a bilateral free trade agreement. The case of liquefied natural gas (LNG) exports to Korea is illustrative. Australia is, and continues to be, a major supplier of LNG to Japan, which happily snaps up every bit of additional Australian supply as it come on stream; and China, as a new entrant to the LNG market, is signing up big new deals with Australia. And yet Korea, which is the second largest LNG buyer in the world, has thus far signed only one modest-sized contract with Australia despite considerable efforts by Australian companies and governments to secure new contracts. Most estimates of Korea’s energy requirements in coming years indicate significant LNG shortfalls with the likely result that unless Korea moves quickly it will be forced to buy expensive short term and spot supplies. Why has Australia not been able to sell more LNG to Korea at a time of considerable demand pressure in international markets, and with both Japan and China acting far more pro-actively to secure Australian supplies? Part of the answer lies in the fact that in the past Korea, unlike Japan and China, has seen greater economic returns from purchasing LNG from Middle Eastern countries where Korean engineering and contracting companies could export their services to large infrastructure and other projects. Given the nature and structure of its economy, Australia does not offer such opportunities to Korean companies. Australia’s attraction as a reliable supplier from a safe region free of political volatility, and the opportunity it provides to build a long-term energy relationship has proved less compelling. Both countries have lost opportunities. What are the prospects for the future? Undoubtedly the relationship will continue to be strong, broad-based and mutually beneficial. Australia should, however, be looking for more than this. In its first nine months the Rudd government has signaled two key elements of its foreign policy: Australia’s relations with China will be pivotal to Australian interests; and Australia should take the initiative in the Asia Pacific region to develop regional architecture that will better serve the broad range of regional interests and aspirations. 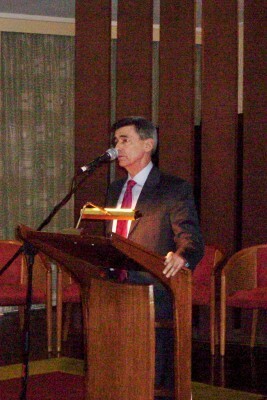 Given the vital importance of the Korean peninsula to China and, more broadly, to peace and stability in the Asia Pacific region, it follows that Australian foreign policy would be strengthened by working more closely with South Korea and other key partners on Korean peninsula issues in pursuit of the government’s foreign policy objectives. The timing for doing this is good. There is a new government in South Korea, with a more pragmatic and hard-headed approach to North Korea than its predecessor, and there will soon be a new administration in the United States which, even if it doesn’t change the direction of US policy on North Korea, will at least want to bring some fresh thinking on it. 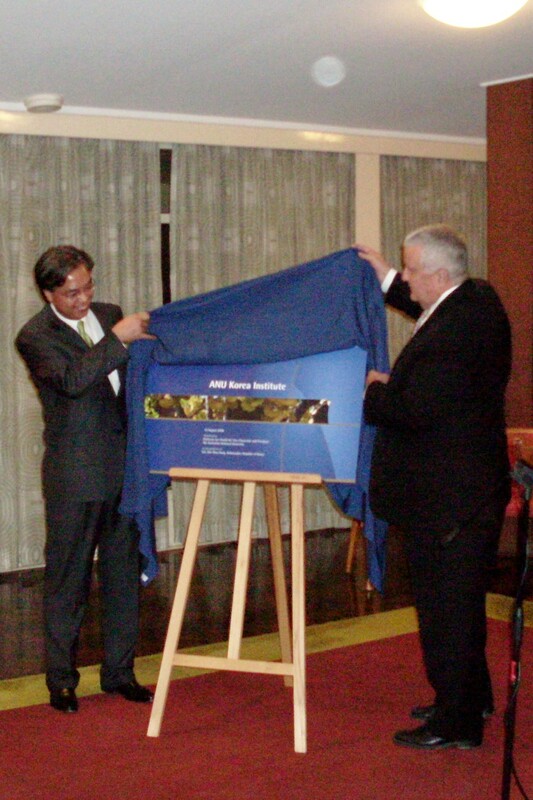 It should be noted that prior to the collapse of the Korean Energy Development Organisation (KEDO) following North Korea’s admission in 2002 that it was developing a highly enriched uranium program, Australia had played an active policy role on North Korea, including regular dialogue with the United States and South Korea, and by contributing to the supply of heavy oil to North Korea as part of the KEDO arrangements. Without seeking here to assess the value or otherwise of KEDO, the point is worth making that Australia’s contribution and role at that time served it well diplomatically by building Australia’s north-east Asian credentials with key countries. This experience of only a few years ago is worth drawing on in the current context. In seeking to build a more strategically focused relationship between Australia and South Korea both sides can take advantage of a number of emerging factors. While realistically South Korea will remain highly focused on the immediate demands of settling issues on Korean peninsula for a long time to come, the more positive environment in which the six-party talks are proceeding may offer some hope that a lessening of tensions will enable South Korea to think more about its wider external relationships. In fact South Korea has at times demonstrated a commendable interest in looking beyond its immediate region. Korea played a pivotal role in establishing APEC in 1989 and, more recently, during President Kim Dae-jung’s administration (1998-2003), Korea was active in developing and promoting ideas on regional integration although these were not a high priority for the succeeding administration of Roh Moo-hyun (2003-2008) whose foreign policy interests were more focused on the immediate Korean peninsula. The appointment in 2006 of former South Korean foreign minister Ban Ki-Moon as UN Secretary General may also contribute to a greater sense in Korea of its place in the wider world and of international issues beyond north-east Asia. Moreover, the new Korean president, Lee Myung-bak, had a long and successful career as a senior executive with one of Korea’s major international companies. It can be assumed that he has a strong sense of Korea’s wider interests in the world. The Rudd government has signaled its interest in developing new ideas on regional integration as a top foreign policy priority. Just as Korea played a pivotal role with Australia in creating APEC, the contribution that joint Korean and Australian collaboration can make in advancing regional integration should not be under-estimated. Both countries could also benefit by discussing tactics and mutually supporting each other’s claim to participate in an expanded G8 forum. There have been suggestions that the six-party talks could form the basis of some sort of continuing regional security forum after Korean nuclear issue has been settled. Should it evolve into a body focusing on north-east Asian security, Australia, with its substantial long-term strategic interest in this region, would no doubt have an interest in being part of it. Given South Korea’s central role in these talks it makes sense for Australia to be talking actively to South Korea about this. There may be greater movement towards an FTA with the new governments. Importantly, progress on an Australia-Japan FTA should provide an important stimulus to moving forward on an Australia-Korea FTA. Given the difficulties in South Korea over the United States FTA and sensitivities over agriculture, we cannot expect early progress but the start of discussions would form the basis for developing a more strategically focused economic relationship. Despite the slow progress so far in building a long-term forward-looking and strategic energy relationship, the growing demand pressures in world energy markets and their impact on Korea, will continue to offer the opportunity to introduce some new action in this area of the relationship. It is also worth noting that if the six-party talks achieve a successful outcome, energy will be a significant element in the settlement. Australia, as a significant energy player in the region, will have a lot to offer North Korea, in concert with other regional partners, including South Korea. To build a more strategically focused bilateral relationship between Australia and South Korea there will need to be some changes in the mind-sets of opinion makers in both countries. Indeed power shifts in regional politics and the economics of energy including growing pressures in energy markets may well force such changes. We might also hope that the advent of new governments in both countries, and the high level contacts that will occur between the two, will provide the opportunity to talk about these matters and to bring about some new thinking on the relationship. 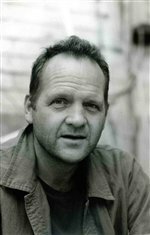 Сайт “Австралийский дневник” Леонида Петрова ставит своей целью ознакомление русско-язычных читателей с новостями в Австралии и вокруг неё. Список линков на русско-язычные порталы в Австралии поможет Вам ответить на интересующие Вас вопросы (иммиграция, экономика, социальные программы, и т.д. ).